Tea-time at Baker Street returns for the summer, featuring a new location – 221B Baker Street at the University of Washington iSchool in Second Life. Caledonia Skytower, John Morland and Kayden Oconnell invite you to join them as they return to what is quite possibly the most famous of Sir Arthur Conan Doyle’s works, and present their fourth reading from The Hound of the Baskervilles. The third full-length novel written about Sherlock Holmes, this is likely to be the one Holmesian story which – at least in outline – known to most, whether or not they have actually read any of Holmes’ adventures. But how many of us know the story as it was originally written? 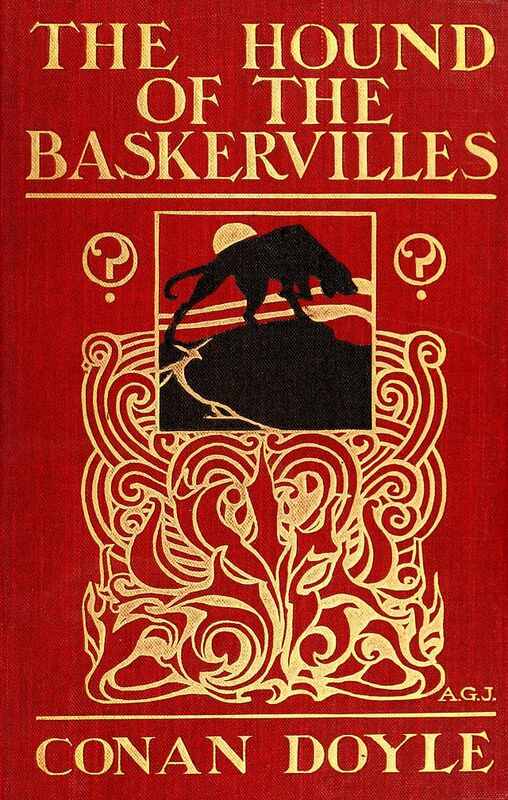 Over the decades it has been adapted for film and television more than 20 times, starting as early as 1914/15 with the 4-part series, Der Hund von Baskerville, and continuing on through to Paul McGuigan’s The Hounds of Baskerville, featured in the BBC’s brilliant Sherlock series. All of these adaptations have offered their own take on the tale. 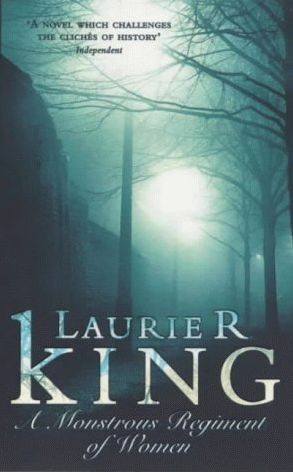 Some – such as McGuigan’s, have simply taken the title of the story and used it to weave a unique tale of their own; others have stayed true to the basics of the story whilst also adding their own twists and turns quite outside of Conan Doyle’s plot in order to keep their offering fresh and exciting to an audience. So why not join Cale, John and Kayden as they read from the 1902 original, and discover just how Sir Arthur Conan Doyle unfolded this apparently supernatural tale of giant hounds and murder, and the pivotal role played by John Watson himself? Gyro Muggin’s takes his audience into the fix-up by John Brunner. 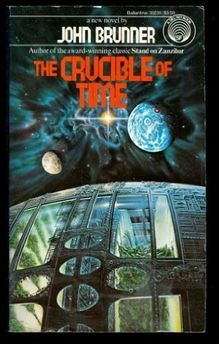 First published as two-part story which appeared in Isaac Asimov’s Science Fiction Magazine, it’s an ambitious tale of alien intelligence which grew to a series of six linked tales pushed as a single novel in 1983. Far off in space is an alien race which is so much like us, yet so un-alike. From the birth of their earliest civilisation through to their attainment of star flight as their star system passes through the galaxy, we follow their development through the ages. Aquatic by nature, this race presents some significant challenges well outside the realms of anything encountered by humanity. But they are also driven by all too familiar hopes, fears, desires, needs, wants, prejudices, impact of religious ideologies, and the quest for knowledge we have experienced in the growth of our own civilisation. Charting six periods of time, each a thousand years after the previous, the six stories focus on the efforts of a group of individuals in each era as they face one or more challenges, their success in overcoming these challenges inevitably leading them towards a greater understanding of their planet’s plight, and ultimately, the ability to deal with that plight and the survival of their civilisation. 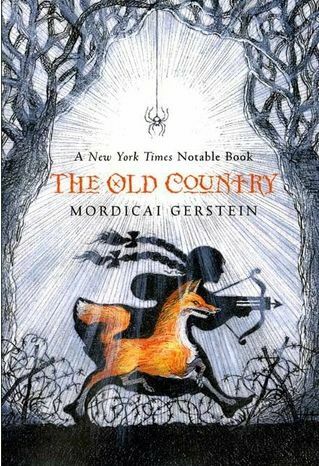 Now she must cross a country torn by war, encountering magic, bloodshed and more as she seeks to find her own body and stare once again into the eyes of the fox possessing it, and so reclaim it. But such are her experiences in crossing the ravaged land, that once she finds her body, she faces a surprising revelation and choice about her own nature. Join Faerie Maven-Pralou as she takes her audience through the enchanting pages of Mordecai Gerstein‘s 2005 novel. Return to 221B Baker Street at the University of Washington’s iSchool, Second Life, for the latter-day adventures of Mr. Sherlock Holmes (retired) and his young orphaned protégé, Mary Russell, originally from the United States, as written by Laurie R. King. Sect-like, and seemingly involved with the suffrage movement, the New Temple and its leader offer both curiosity and intrigue for Mary, who is not convinced either are entirely above-board. Her suspicions appear to be correct when several of the Temple’s wealthy young female volunteers and financial contributors are murdered. With Holmes keeping a watchful eye in the background, Mary turns her curiosity into an investigation; in doing so, she faces her greatest danger yet. Robert E. Howard is perhaps best known as the creator of Conan the Barbarian and Solomon Kane. However, in A Gent from Bear Creek, he presents a series of western stories narrated by Breckenridge “Breck” Elkins, his protagonist. A native of the fictional Bear Creek in Nevada, Elkins is “mighty in stature, small in brain” – that is, a man given to brawn over brain. He is known throughout the west, together with his equally ferocious horse, Cap’n Kidd, for having something of a temper and for being extremely skilled with his fists. Each of the stories in the book is self-contained, all told through the character of Elkins in the manner of “top rail” bullshippin’, and some in the west referred to very tall tales (so tall, they required the narrator sit on the top rail of the bull pen fence). 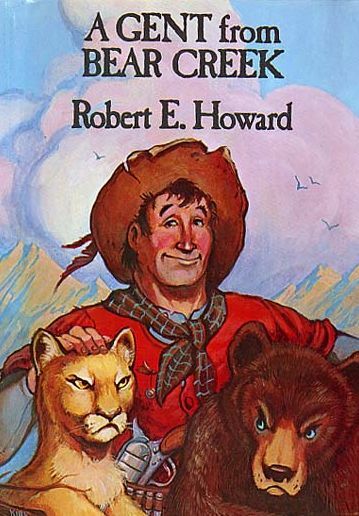 A Gent from Bear Creek actually formed Howard’s longest running series. They were initially strung together in an attempt to form a novel but Howard and his publisher, John Kline, shortly before Howard’s death in 1936. While the novel did gain publication in 1937 in the United Kingdom, it didn’t reach print in the United States until 1966, leaving first editions of the original UK publication highly sought-after by collectors. Shandon Loring dons the character of “Breck” Elkins in both Second Life and Kitely (check Seanchai Library’s Kitely event announcements for specific grid location details). Please check with the Seanchai Library SL’s blog for updates and for additions or changes to the week’s schedule. The featured charity for September-October is TBA. Next Post Sansar: what’s in a name?